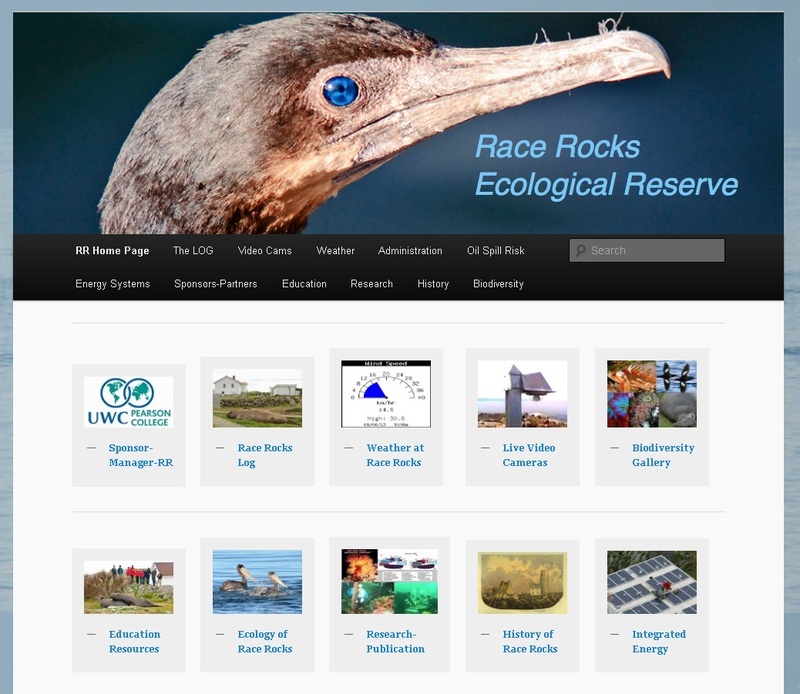 The Race Rocks web site. Race Rocks, a small island off the south coast of Metchosin, was the site of one of the first two lighthouses built on the West Coast of Canada. It's light began to shine in 1860. In 1997 the light was automated and Pearson College took over the management of the station and the Marine Protected area of 3 square kilometres that surrounds the lighthouse. The island is a haven for Northern sealions, harbour seals, and elephant seals and is well-endowed with a variety of birds, plants, seaweeds, and lichens..Local naturalist Garry Fletcher maintains an extensive web site for Race Rocks that includes a weather station, live video, an ecology database, maps and charts, and loads of pictures and information about life on the Rock. 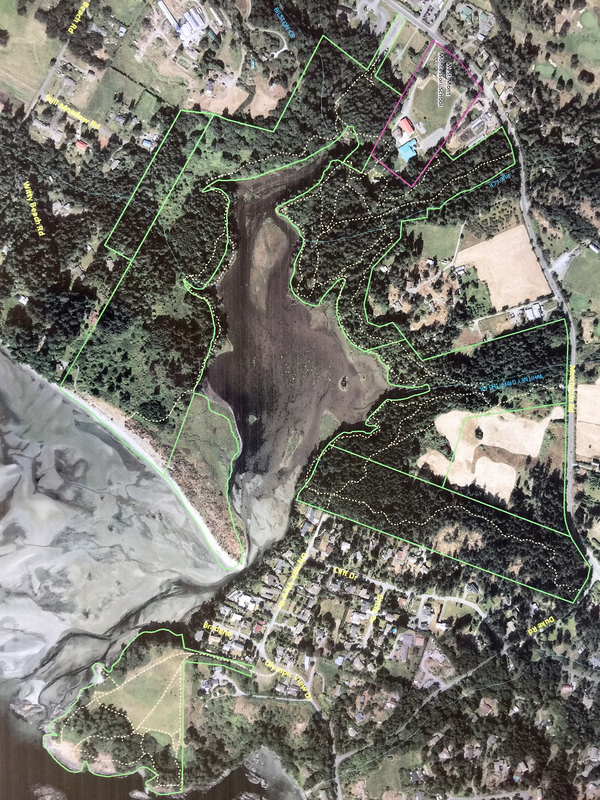 The Metchosin Biodiversity Project and its sponsor, the Metchosin Foundation, have developed tools to help both young and old Metchosin residents monitor the natural environments of homeland. This page describes and provides access to these tools. As part of a series of 2016-17 initiatives to help increase awareness of the natural environmental among the young people of Southern Vancouver Island, the Metchosin Foundation launched a nature cards project. Teachers from local schools, when interviewed about their instructional needs, expressed an interest in a set of cards for classroom use that would have pictures and descriptions of everyday local organisms. 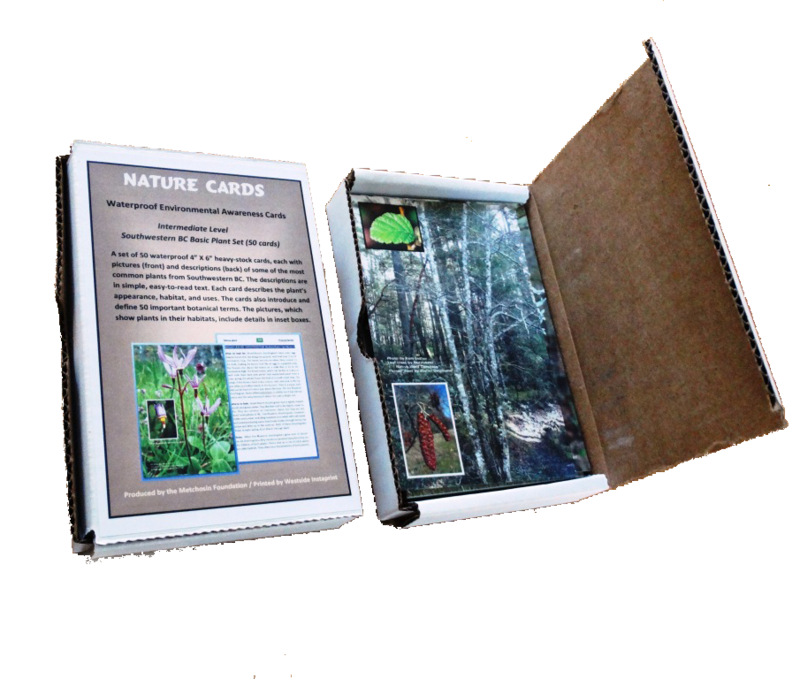 The Foundation set up a project team of photographers, naturalists, and educators to develop the cards. The team included (in alphabetical order) Danny Buchanan, Beverly Hall, Kem Luther, Andy MacKinnon, and Moralea Milne. 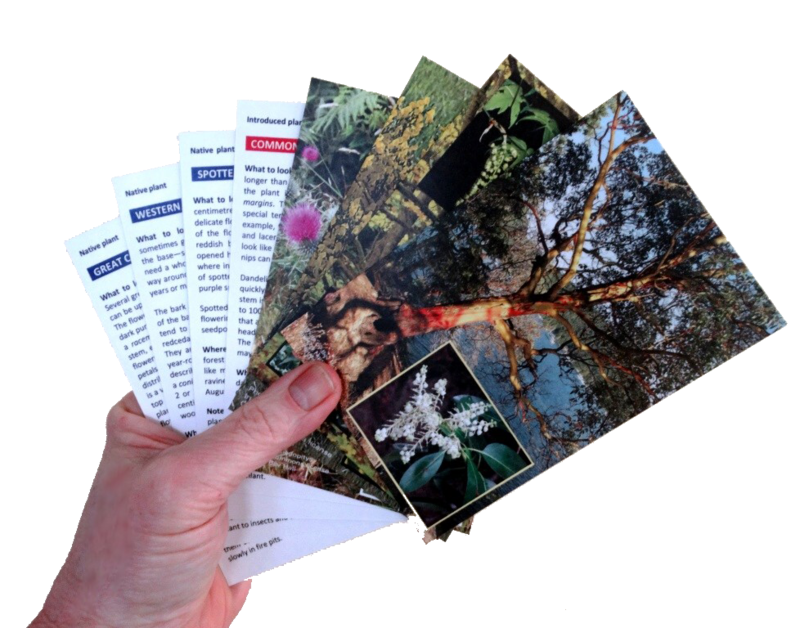 The completed package contains a set of 50 4” X 6” 2-sided cards printed on heavy-stock, waterproof, tearproof paper. The cards describe common plants—and one lichen—from Southern Vancouver Island. The team analyzed data from the Metchosin BioBlitzes in order to determine which plants young people were most like to encounter in the field. As a result, 22% of the card set (11 of them) are introduced, mostly invasive plants. The bulk of the cards, however, represent common native species. Here, for example, is the card for fairyslipper, a local orchid. Pictures for the cards came from local photographers and from Wikimedia royalty-free sources. Plant descriptions were written in simple, easy-to-read prose. (The writers tried to keep the skills of a typical 10- to 16-year old reader in mind.) Each card describes the plant’s appearance, habitat, and uses. The cards also introduce and define basic botanical terms. 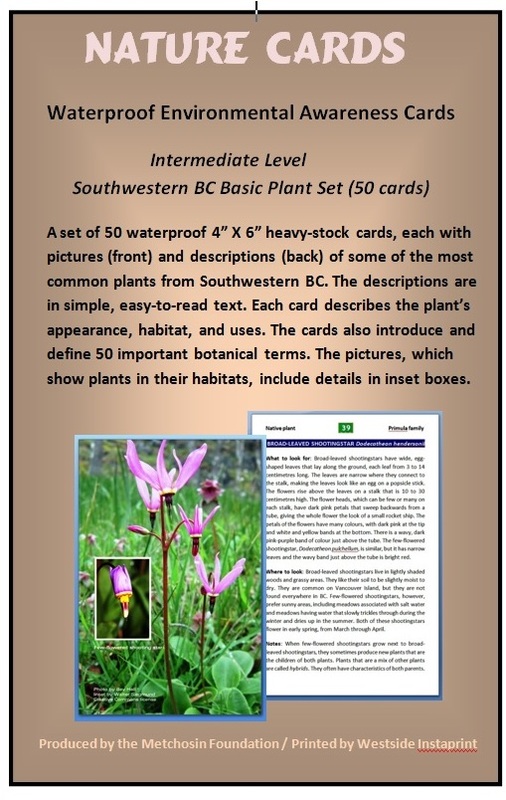 Sets of the nature cards were donated to local schools by the Metchosin Foundation. Boxed sets are also available for purchase. Cost of the set is $35 (plus shipping, if necessary), with all proceeds going to the Metchosin Foundation. To order a set, send an email to cards@metchosinbiodiversity.com. Teachers wishing to make alternate use of the pictures and text on the cards are welcome to download a zip file containing the pdfs of all 50 cards. Here is a list of the organisms depicted in the cards set and the 50 key botanical terms that are contextually defined on the cards. The list contains the cards in four orders: by common name (card number order), by scientific name, by botanical grouping (tree, shrub, etc. ), and by key term introduced. The Metchosin foundation teacm that created on the cards is working on a supporting web application that helps users find local versions of the plants. The application uses the free Google Earth and Google Maps tools. The current version of this application is a kml file that can be opened in Google earth (see sample view above--click to open larger version). 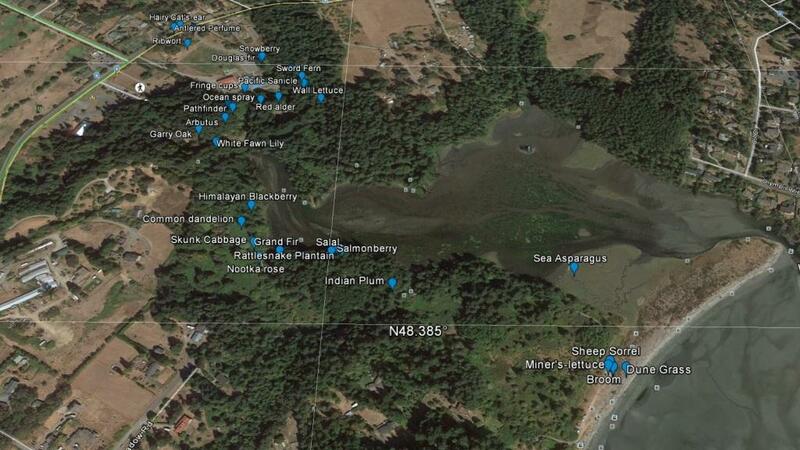 It shows about 35 of the plants on the cards in Witty's Lagoon CRD Park. We also have a document explaining how this application works.. 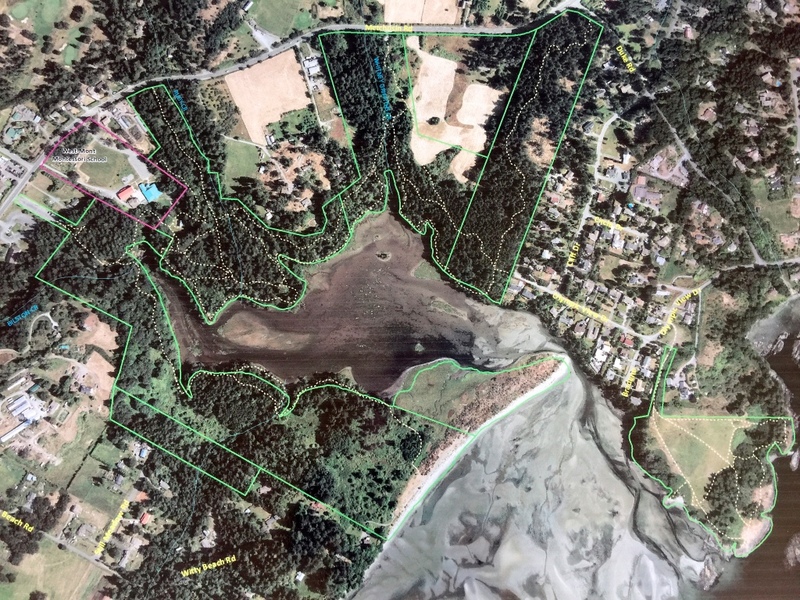 The Metchosin Foundation and District of Metchosin have collaborated to provide Metchosin's two schools, Hans Helgesen Public School and Westmont Montessori, with maps of their school grounds, surrounding areas, and nearest regional parks. Both schools explore the parks closest to them (Witty's and Devonian) for nature education. 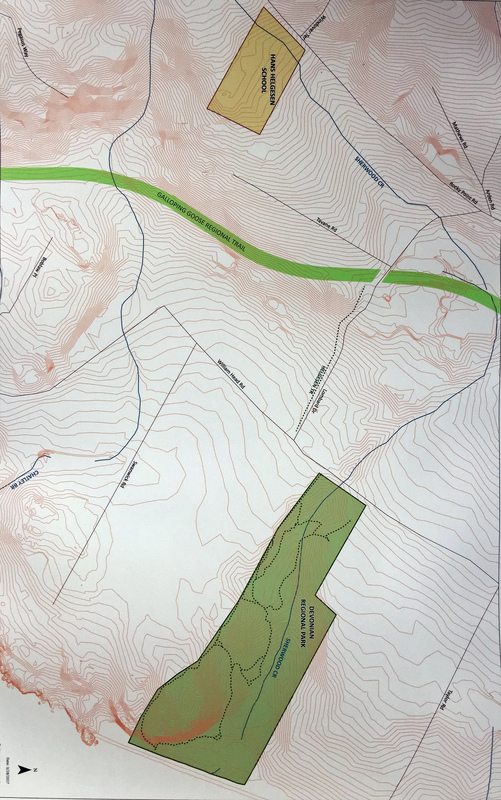 Teachers at the schools expressed an interest in having detailed maps that show their school grounds and the relationship of these grounds to the parks. The Metchosin Foundation, working closely with teachers from the schools, determined what details would be most useful on the maps. The maps were created in the winter and spring of 2017. 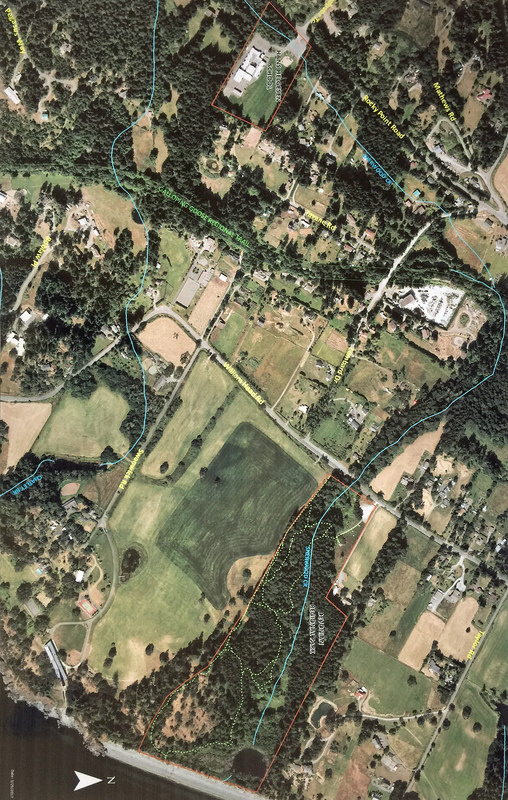 Metchosin Foundation members enlisted the skills of District of Metchosin personnel, who donated their time to isolate the school regions on their mapmaking software and add the appropriate layers to the maps. The maps were printed, laminated, and donated to the schools in April. Satellite view: Westmont Montessori and Witty's Lagoon CRD Park region. 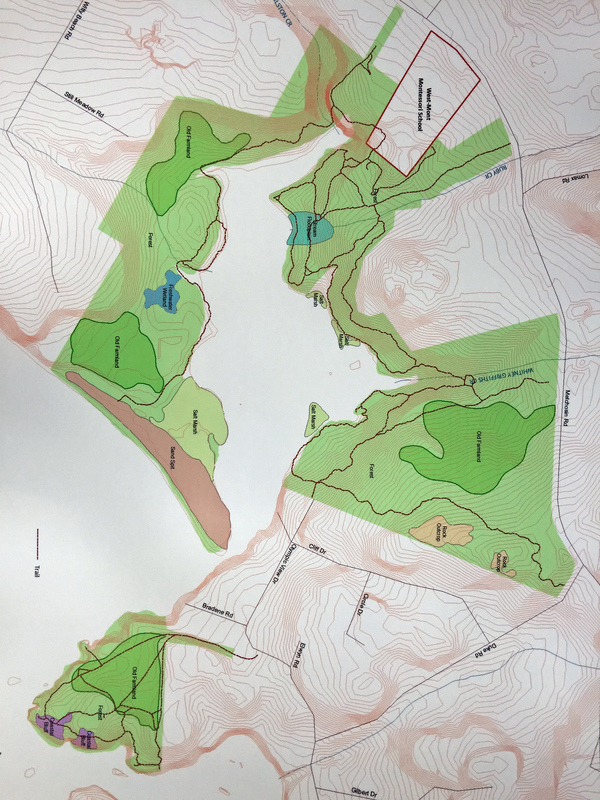 Contour map: Westmont Montessori and Witty's Lagoon CRD Park region.